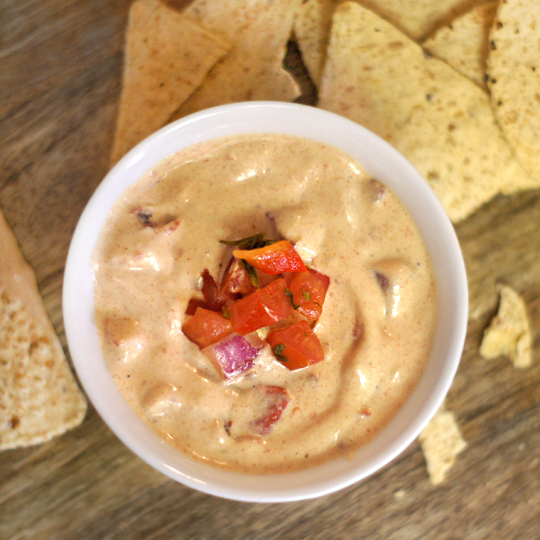 A creamy, dairy-free queso, similar to the popular Ro*tel dip! Blend until a smooth and creamy “cheese” sauce is created. Serve with baked tortilla chips and fresh sliced veggies, for a nutritious party snack!